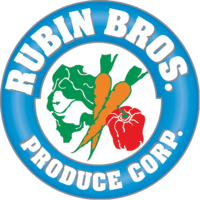 Join our team at Rubin Bros. Produce Corp.
Rubin Bros. Produce Corp. is committed to providing a work environment free from discrimination and harassment. It is our policy to comply with all applicable federal, state, and local laws prohibiting employment discrimination. We are a drug and alcohol free workplace. If you are interested in working with us, feel free to complete the form below and send us your resume. Please provide your resume to us in the following acceptable formats: pdf, doc, jpg, png or txt. The maximum uploaded file size is 16mb. Accepted file types: pdf, doc, jpg, png, txt.